These are truly 100% hidden speakers from a company known as Stealth Acoustics. The picture above was taken with unfinished product so you can understand the process, after this they are completely blended with the wall so even you as the owner will forget where they are after a while. These speakers are not muffled in anyway and sound just as clear as other in wall speakers and they also have stealth sub woofers that you can purchase to complete your surround sound. 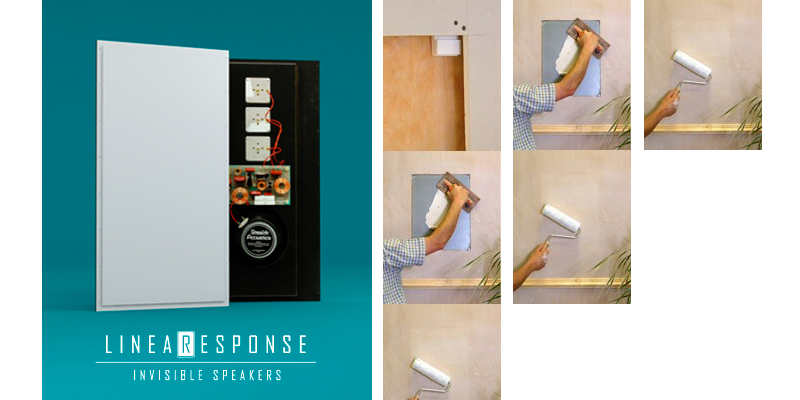 These speakers are best to be installed during initial construction, not after like shown above. The final subject I wanted to mention is the smaller objects that a homeowner may not think about hiding, security sensors as well as heating & cooling systems. Firstly, door security systems can be tied into you light system as well. This will have your lights automatically turn on when the door is opened and off if you wish them to be too, when closed. They can also send alerts to your phone when they are opened and you are away from the house. Secondly, thanks to companies like Crestron, wall mounted temperature sensors have now been reduced to where they only stick off the wall about an eighth of an inch, and can be easily painted or even wall papered over. The next bonus that comes with their system is that the thermostats can be tucked away in closets as their system can be ran entirely from your own smart phone. What goes around comes around and right now turntables are making a comeback. The purest form of listening to music has only gotten better thanks to improvement of materials and technology used to make these pieces. Pictured above is the Clearaudio Statement and it is just one visual example alone of how far listening to vinyl has come. But the Statement is an example of the very upper end of the modern turntables, companies like Thorens and McIntosh make more affordable solutions that still are very aesthetically appealing. 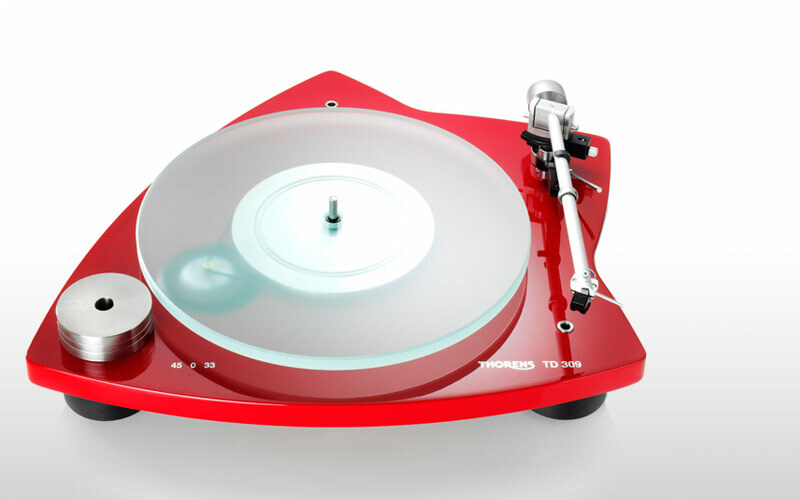 Pictured above is the Thorens TD 309 Tri- Balance turntable.The three point suspension design creates perfect balance both mechanically and aesthetically. The aluminum tonearm, known as the TP 92, was specifically designed for Thorens turntables and uses an ultra-low-friction bearing and an innovative magnetic anti-bias system that is said to have zero stiction. The rolled aluminum arm tube is mad with reduced modal resonance technology and is designed so the center of gravity is level with the stylus. 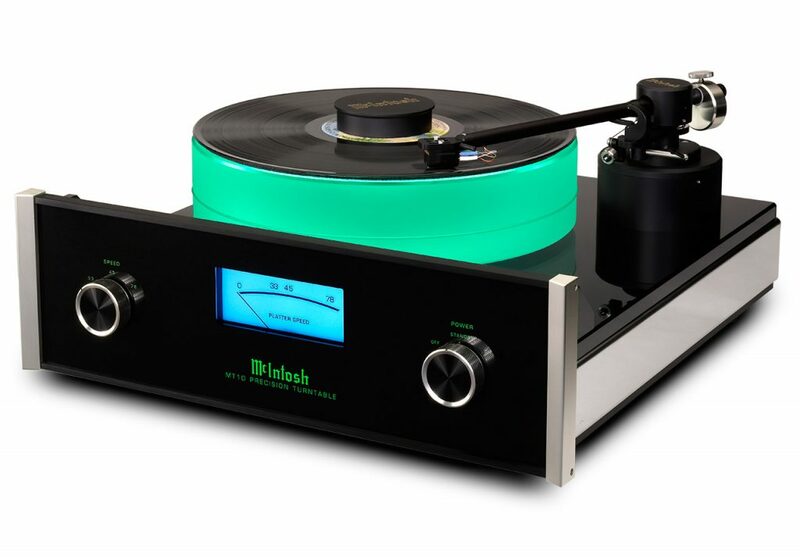 Also worth taking a look at is this McIntosh MT10 turntable. It was one of Electronic House’s Products of the Year back in 2008. It comes with anti-skate, tracking force and cartridge position already set from the factory. It also has a unique tonearm that features a rigid, dural-aluminum arm-tube gimbaled in two sapphire (horizontal) and two ceramic (vertical) bearings f​or the least possible friction. The MT10 comes with a .5mV moving coil cartridge, an ebony body and an elliptical stylus for a look that will improve and home system in sound and aesthetics. Weather proof, outdoor TVs have improved tremendously over the last few years. The quality and brightness are the same as you will find on your indoor set while having full water proof and fade resistant qualities. Pictured above is the Storm series line from Seura. They still come with all the normal connection ports, are available in 4k and are also a lot slimmer than they used to be. Each cable the TV comes with are specifically made to firmly secure the connection and protect the input from any form of moisture. Gone are the days for the glare saturated and bulky outdoor TV sets. The Seura has an Adaptive Contrast feature to adjust itself to all forms of light automatically so you never have to manually do it yourself. The viewing angle on the Storm series is also very wide by any TV standard. All are also able to be mounted to almost any surface of your choosing outside and are built to withstand temperatures from -30 to over 140 degrees Fahrenheit. 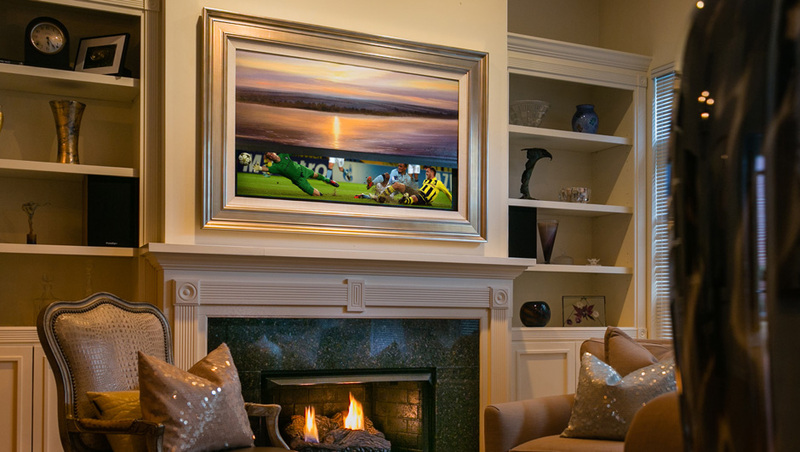 The Storm TV by Seura was awarded Best New Product by CEDIA in 2015. CEDIA is the Custom Electronic Design & Installation Association. 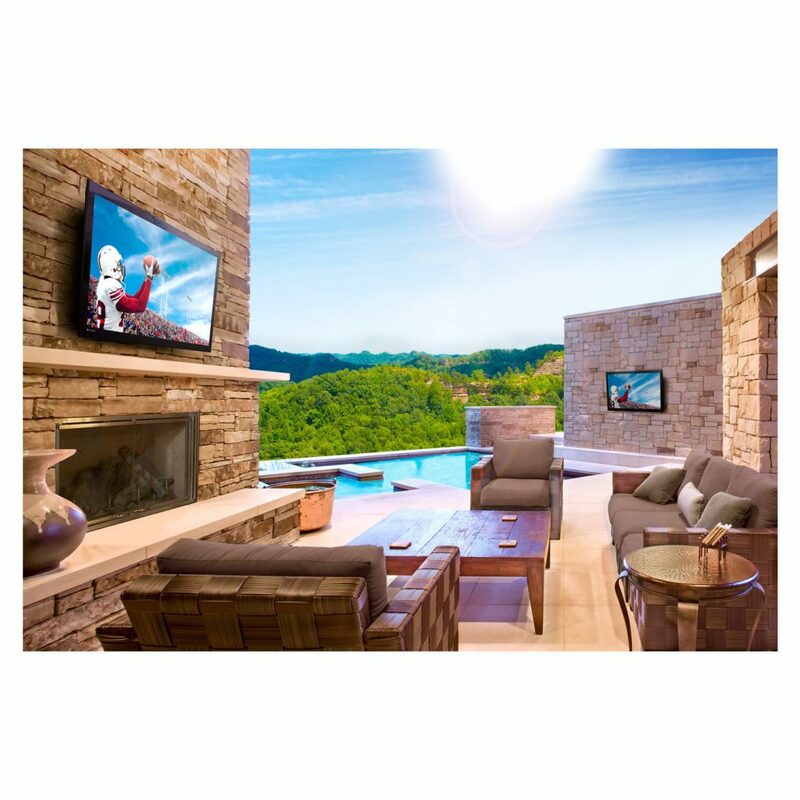 When the client came to us and wanted to be blown away, we went to our Signature Vapor Audio Speakers for what can be only described as breathtaking results. Twin 21″ subwoofers! 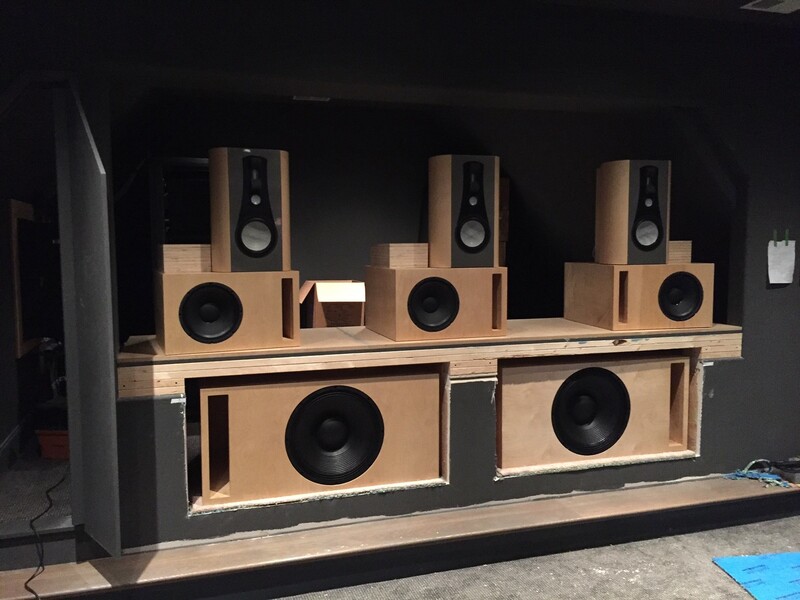 AVA for past 3 years has featured Anthem Audio AV products and we believe the ARC calibration is the best bang out there when it comes to room sound setup! Now the Anthem’s include Dolby Atmos and DTS:X! The MRX 1120 is Anthem’s latest flagship AV receiver which not only adds Dolby Atmos and, thanks to a future firmware update, DTS:X but also, as the name suggests, includes 11 channels of built-in amplification. That means you can create a full 7.2.4-channel immersive audio configuration from a single box and although that isn’t unique, there are other examples of 11-channel receivers, they don’t also include Anthem’s excellent room correction software. Anthem have never gone in for massive feature lists, preferring to concentrate on those that matter and once again the MRX 1120 includes features and functions aimed at performance rather than box ticking. So along with the built-in amplification, ARC, Dolby Atmos and DTS:X, you also get two parallel sub out jacks, quad core digital signal processing, 32-bit/768kHz digital-to-analogue converters, four speaker profile memories, a wireless network connection and DTS Play-Fi. If you’re looking for an AV receiver than can deliver a full 7.1.4-channel immersive audio experience from a single box then your options are limited and aside from the Anthem MRX 1120 the only other example currently available is the Onkyo TX-NR3030 but that doesn’t have DTS:X or HDMI 2.0a. So if that’s your basic criteria the MRX 1120 is the receiver for you. If you don’t mind adding two or four channels of extra amplification then you have plenty of options but the Anthem remains an excellent choice.